Do some basic maintenance from time to time to keep Windows XP running smoothly. Windows XP provides you with some basic tools to make the maintenance process. You can access these tools via the System Tools menu. All Windows XP computers have at least one hard disk. The hard disk acts as your computer's storage area. Almost everything installed on your computer- applications, files, folders, and operating system- is stored here. With general use, your hard disk can become fragmented. This means that parts of the same disk file become scattered over different areas of the disk. A fragmented hard disk slows down your computer and hinders its performance. To keep your hard disk running smoothly, you must routinely defragment or defrag the hard disk. The Disk Defragmenter tool can help you do this. Choose Start.-----All Programs------Accessories----------System Tools-----Disk Defragmenter. A microsoft Management Console opens and explains how to run Disk Defragmenter. Disk Cleanup is another tool that helps to keep Windows XP operating as it should. It inspects your hard disk and looks for the files that can be safely deleted. Deleting unnecessary files free up valuable disk space. Choose Start--------All Programs-------Accessories-------System Tools--------Disk cleanup. The Disk Cleanup window opens. Click the Disk Cleanup tab if it's not showing. Disk Cleanup lists several potential files that can be deleted and the amount of disk space you'll gain by emptying each one. To learn more about a file category, click it and click the View Files button. A description appears. Click the check boxes next to the categories you want to delete and click OK.
A dialog box appears, stating, Are you sure you want to perform these actions? Click Yes or No as appropriate. Windows XP provides some basic tools to make the maintenance process. All Windows XP computers have at least one hard disk.The hard disk acts as computer’s storage area. Disk Cleanup inspects your hard disk and looks for the files that can be safely deleted. Write an instruction to use disk defragmenter? Choose Start.-----All Programs------Accessories----------System Tools-----Disk Defragmenter.The Disk Defragmenter opens. Write an instruction to run disk cleanup. A dialog box appears, stating, Are you sure you want to perform these actions?Click Yes or No as appropriate. Disk Cleanup is another tool that helps to keep Windows XP operating as it should.It inspects your hard disk and looks for the files that can be safely deleted. Tools that inspects your hard disk and looks for the files that can be safely deleted is ______. All Windows XP computers have at least ______. 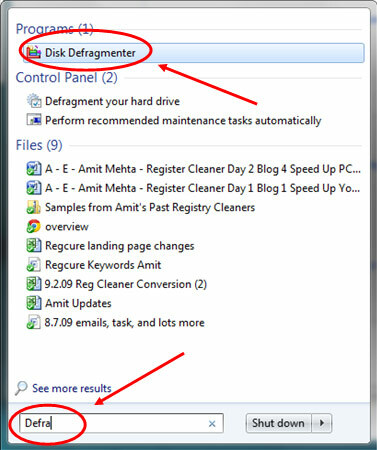 How often should Disk Defragmenter be used? Disk Cleanup performs all of the following except ______. How often should disk cleanup be used? Any Questions on 'System Tools '?